Are you in need of professional asbestos removal in Utah? Call Utah Flood Cleanup today at (801) 876-5225 for quick service from professional asbestos removal specialists you can count on. We are available 24/7. Utah Flood Cleanup is a full-service disaster cleanup company skilled in asbestos abatement and asbestos removal services in Ogden, Utah and surrounding areas. Our asbestos removal professionals specialize in procedures to control asbestos fibers, including removal operations in both residential and commercial facilities. You should never attempt to remove asbestos yourself. Asbestos must be removed by certified professionals, then recycled or destroyed at an appropriate facility. Our technicians are certified and trained to use specialized equipment to safely remove hazardous waste and follow proper disposal requirements. You can rely on our professionals to restore your commercial or residence property to a safe, asbestos-free environment. Utah has specific laws regarding the demolition of buildings which contain asbestos, and when those materials may be disturbed. 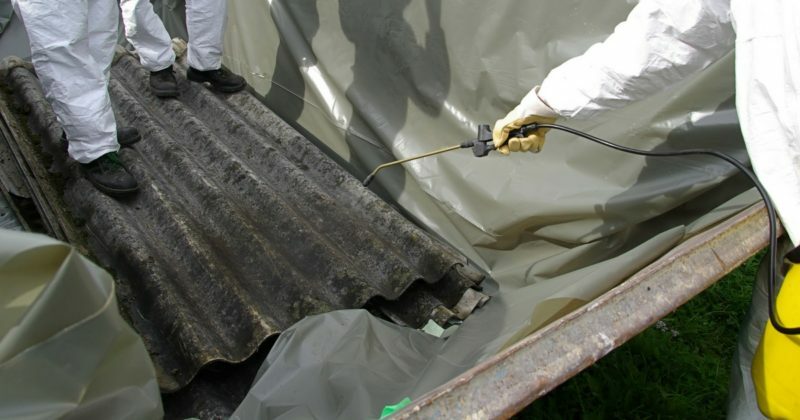 Our asbestos abatement services employ highly trained technicians to enclose and encapsulate asbestos-containing materials. Proper abatement is crucial to ensure asbestos fibers are not released into the air, posing a very high health risk to individuals and a hazard to the environment. At Utah flood Cleanup, we are insured and licensed for asbestos abatement projects. Our dedicated team of specialists is committed to ensuring fast asbestos abatement for our residential and commercial customers. We employ state-of-the-art methods to ensure the safety of everyone involved. Often, commercial and residential properties have different types of asbestos materials that require different methods of containment and special tools for proper removal. Utah Flood Cleanup has employs trained and licensed workers and is equipped to handle all aspects of any asbestos removal project. We also handle all paperwork for waste shipments along with the proper asbestos waste profile forms. We work to ensure proper wetting and containment of all asbestos and possibly contaminated materials using either tight sealing containers or double bags that are properly labeled. Our team finishes the job with advance notice to the appropriate landfill to receive the load of asbestos. Never attempt to remove asbestos without the direction of trained professionals. It is best to leave materials alone that are suspected of containing asbestos, and if you are unsure – always call a certified asbestos removal technician to inspect the sample and perform testing on the material. If you are considering renovations in your home or business, you can find out whether asbestos-containing materials are present. Contact Utah Flood Cleanup for more information and to schedule an appointment for an asbestos professional to inspect your property. Give us a call at 801-416-2666.